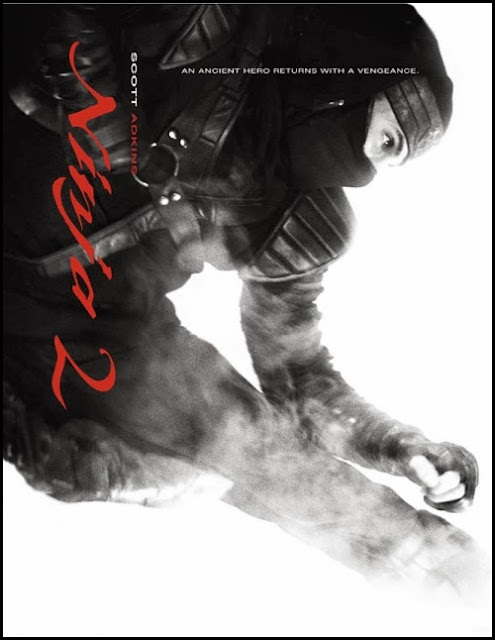 Ninja (2009) was never a master piece but it was entertaining and had some really good action. As in most sequels of martial arts flicks they went for more action and less distractions. Which is good. Unfortunately even when there is less distraction you will have to suffer to some bad story telling and even worse acting. Does it matter in the grand scheme of things? No it does not. Since most of us who enjoy these kinds of movies will focus on the action in the first place. And the action is really terrific. Too bad though it was less about ninja's and more about Scott Adkins versus the rest which was fine by me. Martial arts lovers will like this also especially since there is no shaky cam. Thank god, eat your heart out Christopher Nolan. I do have one last remark though. Shadow of a Tear also features Kane Kosugi. When will this guy get his own movie. The guy is a superb martial artist. He pulls of moves like it is nothing and looks very good for his age. Why on Earth is he so underrated? Come one give the guy a chance to really shine. If someone ever will make a Ninja Gaiden movie then he is perfect for the role as Ryu Hayabusa. (Yes I remember he was in DOA: Dead or Alive (2006). But come on that does not count.